Adding this tenured group to our team allows us to serve our enterprise accounts more effectively within all lines of business, not just IT. Marco announced today the addition of a new Enterprise Network Team focused exclusively on providing business enablement technology solutions to enterprise businesses. The hires are part of Marco’s growth strategy to expand its business by investing in highly experienced and technically competent specialists. The team will enable businesses to solve their toughest technology challenges and uncover smarter ways of operating across all lines of business. The solutions employed will include unified communications, data center services, advanced networking services, telepresence, wireless and cloud. This new team will focus on technology planning, budgeting and deployment strategies for Marco’s enterprise clients. The end result will be a better client experience and a more integrated, proactive approach to business technology. The addition of the new team provides more depth to Marco’s growing roster of technology experts. Earlier this year, Marco achieved the Master Collaboration Specialization from Cisco®. This specialization recognizes Marco as having the ability to represent Master-level business expertise as well as technical efficiency, having fulfilled the training requirements and program prerequisites to sell, deploy and support highly sophisticated applications-based Cisco Collaboration solutions. 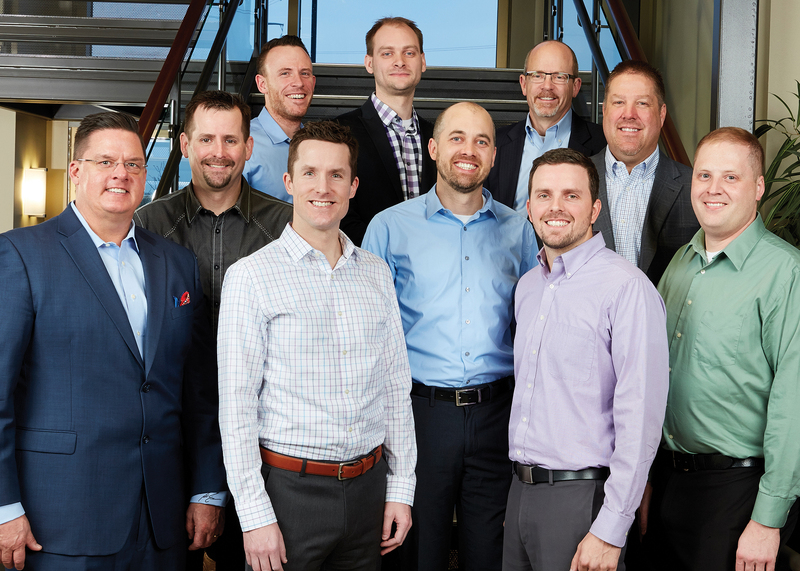 Eight of the ten new hires were former Cisco employees and include Sales Director, Todd Erne; Account Managers Bill Peterson, Tom Gust, Jered Schock, and Brett Dahlof; Solution Architects Steve John, Matt Erickson, Mike Burgard, and Justin Jongbloedt; and Consulting Specialist Justin Bigger. Marco is a leading technology services company that specializes in business IT services, cloud services, managed services, telecom carrier consulting services, copiers/printers, phone systems, document management and audio/video systems. Marco serves over 27,000 customers through the Midwest and nationally with offices in Minnesota, Wisconsin, North Dakota, South Dakota, Iowa, Illinois, Missouri and Nebraska. Enterprise Network Team adds to Marco's competencies in providing business enablement solutions to enterprise clients.